Someday, maybe not in our lifetimes, human beings are going to reach Mars. And when they get there, they are going to need something to eat. But because it’s so far away, the explorers who make this journey will need to grow their food. 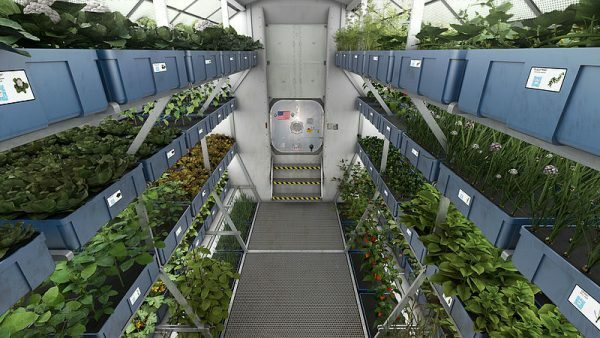 Not surprisingly, the setup to grow food on Mars is not all that unlike The Martian with Matt Damon. It’s also similar to an indoor mairjuana grow (not like we would know). As Jim Green the division director of planetary science at NASA explained in a recent NatGeo special, it starts with soil. “We know the soil, at least the top soil is very toxic. but underneath that we see the soil is very different. “It’s got carbon, nitrogen, oxygen, phosphorous,” Green said. It’s this material that astronauts would bring into a greenhouse area with a hydroponic setup and LED lights, likely underground. That’s one way to make food on Mars that’s relatively familiar to us. Another way is by using microbes to artificially create meat in a process called synthetic biology. Other radical thinkers like Stephen Petranek, author of How We’ll Live on Mars, believe that the planet itself will be encapsulated and controlled in some way known as teraforming so that the climate resembles earth. previous articleConvert a ’74 Caddy into a 4×4? Why Not?